"An Epic, Heartrending, Passionate Story." Stats, dates, flags, facts... Don't we see history in such trivial ways? This book is different, it takes you into the heart of what it would be like to live through the barbaric wars of the colonial era, having your life and dreams torn apart by the tyranny of madmen. Walk the streets of an 18th century French fortress and fall in love with the interesting characters just long enough to see their world come crashing down like a hailstorm of mortar and cannonfire. It seemed like a great idea to put the inhabitants of a small town inside the walls of Louisbourg, a fortress on the far east coast of what is now Cape Breton Island, Canada, but the presence of civilians and common-folk did not stop the British from unleashing hell over the heads of those unfortunate enough to be trapped there in this work of 18th century historical fiction. The Challenge Will the love of Marie and Pierre endure? Will they persist with their lives and their friends? Can they suffer every ill-conceived plan and all the bombardment which surrounds them? Can they survive ... could you? 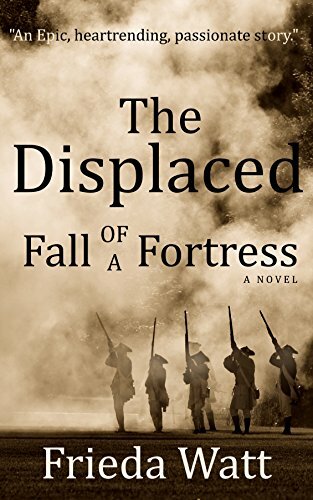 Download this full-length first book of The Displaced series and throw away the boring history books. Don't learn it, experience it. This beautifully written, epic work of historical literary fiction, with the same feel as Outlander, is a must-read for any historical fiction lover.